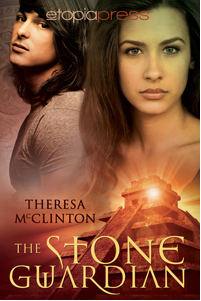 Theresa McClinton is the author of The Stone Guardian. She was born in California in the fall of 1985. After hopping around to several states, she finally settled in Kodiak, Alaska. Eight years later, she now lives in Ohio with her wonderful husband, three fantastic kids, and her family pet cat, Pepper. Besides being a wife and a mommy, Theresa is also a YA urban fantasy writer. "I greatly enjoy writing in YA. It’s a growing genre, with lots of potential and plenty of room for my imagination to go wild.I spent most of my childhood on that glorious island. I have just completed my debut novel, The Stone Guardian. The following novels of the trilogy are well on their way, with great expectations." 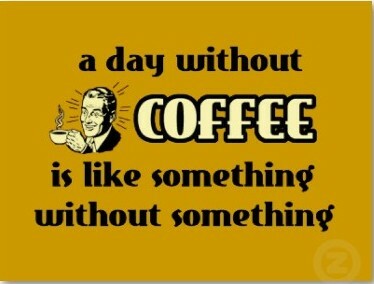 D L: So, coffee, how do you have it and what is your favorite time of the day to partake? Theresa: I have a Keugir single cup coffee maker that I bought about a year ago. I haven't used anything since. Folgers, large cup setting, with natural french vanilla creamer is my favorite way to have it. I probably drink more than I should, but have tea at night. Can't do black coffee, and I drink it without sugar when I'm having something sweet. There, now you know my life's secrets. D L: I love your tagline: “When myth becomes reality, reality becomes a nightmare.” Have you ever had a nightmare or dream that seemed so real it felt prophetic? Theresa: Thank you. And yes. There has been just a handful of times I've woken up from a dream that impacted me with strong emotion that I found myself searching for my phone to call the person I dreamt about. Almost always there was something wrong. I'm not claiming to be physic or anything of that nature, but I do believe a person can somehow sense when someone they love is in need or danger. It happens very rarely, so when it does I pay attention. No rolling over and going back to sleep. D L: How many books will there be in the Stone Legacies series? Theresa: That's a hard question. Originally it was going to be three, but now I see it as being five. That includes some novellas I intend to put out there between the "big" books for the series. It's been interesting to see the story and characters progress and develop. D L: I see on your Facebook page that you're writing the second book and promoting the first as well as creating book trailers. What do you do for pure fun and relaxation? Theresa: Haha. It seems all the things you listed are work. They are, but I do love to write and it is fun. OK, but other than that. Um, I love to travel. Adore it. Europe has been my favorite so far. I know, that's pretty broad. Europe is a big place. Amsterdam is really quant and lovely with it's leaning buildings and cobblestone streets. Switzerland is picturesque, and Italy--oh, Italy. How I adore that country, Euro deficit and all. The art, culture, food. Germany was surprisingly nice, and France for me was just OK. I'd love to live in Italy someday, maybe Florence. D L: You possess ‘self-drive’ which is a necessary skill for freelance writing. Any pointers for the readers on 1) how to keep your self-drive mechanism going; and 2) how to know when it’s time to take a break. Theresa: That's such a good question! I keep my self-drive mechanism running by loving the stories I write about. I get attached to my characters and love to bring them to life. I get excited while talking about them, and if I don't start rambling and forget what I'm doing or where I'm going after someone asks me about my book, I know I've been away from them (my characters) for too long. Love of your story I think is the most important thing in writing. If you have a passion for it, that will transfer into your writing and your readers will see that. I step away and take a break when I get stuck, or when I find myself typing and I can't remember what I just said. Yes, it happens. Especially when you're trying to meet a word count goal. That can be tough. But I realized that if I get away from my computer and do other things, my mind works and I get little epiphanies. I can't tell you how many times my husband has watched me in silence while I rushed past him to open my computer and start typing. He's learned to stop asking me, "What's so important?" D L: When you enjoy a coffee break, are you a cake or biscuits type or gal? Theresa:I feel like cake is more for desert than a coffee break. I don't know why but I always picture a coffee break to be something you take in the afternoon, so I'll say biscuit. Scone, to be more precise, or coffee cake--which I guess is cake, but not really. Muffin? Oooohhh. Cobblestone from Panera. Yum. D L: Thanks so much for this quick coffee chat. I hope you're enjoying writing the second book in the series and best of luck with the series! For anyone in Kansas City is May, Theresa will be attending the Romantic Times Booklovers Convention in Kansas City, MO, From May 1-May5, 2013. She will be participating in Club RT and the Indie Author Expo, and will have both digital and print copies of The Stone Guardian available for purchase. Crossing realms of young adult romance." LOL! The machine is fantastic, isn't it? Looking forward to see how the series progresses!